Sign the petition to ensure children are safe online. 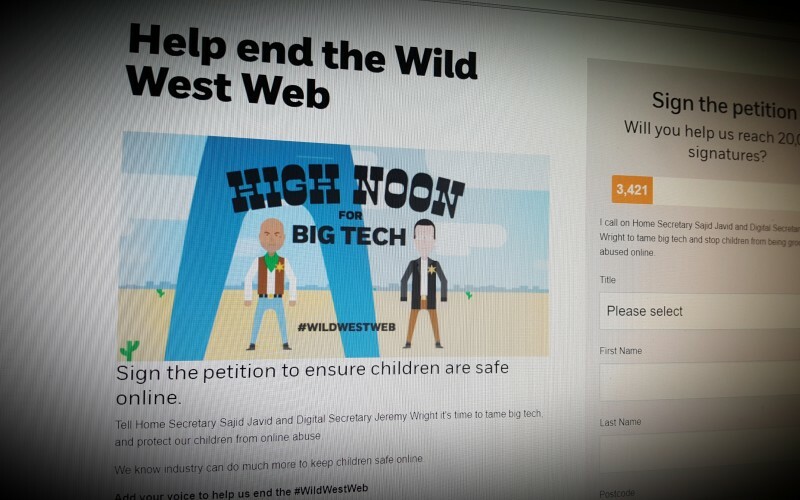 Tell Home Secretary Sajid Javid and Digital Secretary Jeremy Wright it's time to tame big tech, and protect our children from online abuse. We can all play a part in helping keep children safe from bullying and cyberbullying - whether it's happening at school, at home or online.